At Canada's leading public safety educator, you will obtain the knowledge, skills, and competencies you need to make a difference in the community. Justice Institute of British Columbia (JIBC) is unique among post-secondary institutions in Canada with a mission to develop dynamic justice and public safety professionals through its exceptional applied education, training and research. An education at JIBC focuses on experiential learning, where students have the opportunity to gain important skills through hands-on and interactive activities and discussions. After completion of any JIBC certificate, diploma, bachelor's degree or graduate certificate, JIBC graduates have developed important transferable skills such as critical thinking, teamwork, self-learning, and the ability to resolve issues and problems. JIBC graduates have consistently said that their course or program helped them develop the skills they needed, with nine out of 10 students saying they were satisfied or very satisfied with their education from JIBC (DASCO Survey 2016). Unlike other post-secondary institutions, JIBC's class sizes are relatively small with a very low teacher-student ratio per course or program. This allows instructors to dedicate more time to help students excel and provide additional support when needed. 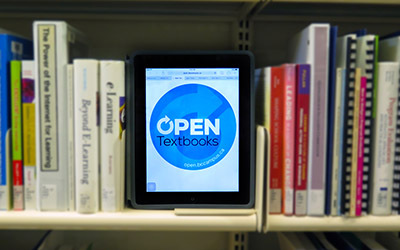 Also, depending on the course or program, instructors can augment the course content to include additional information or resources to help students get the most out of their education. Visit our Instructor Profiles page to find out more about the depth and breadth of our seasoned faculty at JIBC, many of whom are leading practitioners in their field. Each JIBC instructor has a passion for teaching, and are experts in their field of expertise, usually with decades of experience. Many instructors are active in their profession, which provides students a unique opportunity to learn about the latest best practices in their respective areas of expertise. Simulations are at the heart of JIBC’s education and training. This is true, whether you are in a leadership, conflict resolution or counselling course, or completing one of JIBC's specialized public safety programs. Simulations involve the realistic portrayal of a situation or scenario, allowing students to actively apply new-found knowledge within a safe learning environment. This type of experiential learning is a key component of JIBC's applied learning model. Educational simulations can involve the use of computers, role-playing, case studies, apparatus, or games. They are designed to imitate or model the behaviour of a situation or system that represents a real-world event, giving simulation participants the opportunity to practice skills in a non-threatening - but realistic - context. Visit our Simulations at JIBC webpage for more information. As the educational needs of students continue to evolve, JIBC has continued embraced new technologies to provide more effective and efficient ways to provide needed public and community safety education and training. Every JIBC School has continued to incorporate new tools and applications into its educational and training programs ranging from uses of multimedia and video conferencing to open educational resources, simulations and other emerging technologies. More information about some of the educational technologies being used is available on our eLearning webpage. Students also have access to the JIBC Library, which has a collection of justice and public safety resources that are unique in North America. Librarians are available to help you find information on subjects taught at JIBC and can assist with making sure you cite your sources correctly. At JIBC, students have the opportunity to gain the knowledge, skills and competencies they need to be effective public and community safety professionals. As public and community safety needs evolve, JIBC has continued to work with its stakeholders and partners to update its offerings and provide the education and training that contributes to the life-long learning and long-term success of its students and clients. Over the years, JIBC has launched new academic programs and fostered partnerships to increase applied and experiential learning opportunities for our students. This has led to the development of many programs that are unique in B.C. and in Canada. For example, the Bachelor of Emergency and Security Management Studies and the graduate certificates in intelligence analysis are the first of their kind in Canada. Students pursuing a career in law enforcement also have effective diploma anddegree programs to help them become sought after candidates in the very competitive recruitment process. Through the support of JIBC's individual and corporate supporters, JIBC students have an array of scholarships, bursaries and awards available to them to help financially support their education. Hundreds of student awards are granted to students each year, in addition to the many external awards and financial aid programs available to JIBC students. In 2016/2017, more than $870,000 in student awards and bursaries were provided to JIBC students. Visit JIBC's Financial Aid and Awards webpage for more information about the awards and bursaries and other financial aid that's available to students. In many JIBC courses and programs, students have the opportunity to receive additional support to help them deepen their understanding of the content being taught, and the skills being developed. In JIBC's leadership and conflict resolution courses, for example, students practice their new-found skills with the support of coaches that supplement the insights from instructors. 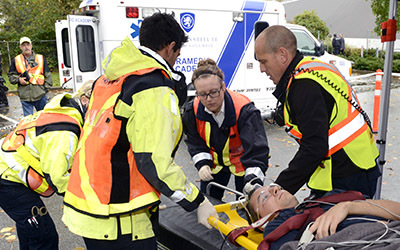 In JIBC's paramedic programs, students will learn from working paramedics in B.C. and gain invaluable insights during multi-agency training simulations in the community with other first responders. In the Law Enforcement Studies Diploma and Bachelor of Law Enforcement Studies programs, students hear from, interact with, and gain important insights from various guest speakers who are on the front lines of law enforcement including serving police officers, border services agents, investigators and more. In JIBC's firefighting and emergency management courses and programs, students are taught by experienced leaders in the field, many with decades of experience. For Aboriginal students, JIBC provides a number of services to help them excel at JIBC. More information is available on the Aboriginal Student Services webpage. JIBC is focused on providing opportunities for people from different public safety professions to train together and discover new ways to support greater collaboration between first responders and other professionals they interact with on a regular basis. To that end, a number of multi-agency training simulations are held with JIBC students and first responders in the community each year. These events give students the opportunity to practice what they have learned in a situation or scenario that they will likely have to deal with in their career. But even in the classroom, or in an online course, you will be studying with people from all walks of life, and working in very different careers. Some of your fellow students may be new high school graduates. Others may be fire chiefs, lawyers, nurses, paramedics, police officers, counsellors or mediators. The diversity within your course is intentional, providing you with a unique opportunity to gain valuable insights above and beyond the course curriculum. Many students come to JIBC for our applied, experiential education so that they can make a difference in a profession that supports the health, safety and wellbeing of people in the community. Within many of JIBC's courses and programs, students have an opportunity to contribute and help others as part of their education. 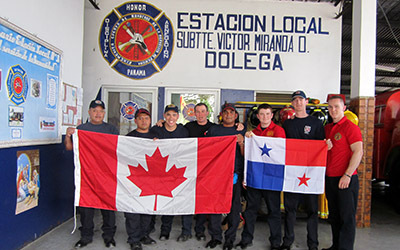 For example, graduates of JIBC's Fire Fighting Technologies Certificate can apply for a special course and scholarship to support firefighting training in South America. Students in the Law Enforcement Studies Diploma program can apply to learn about law enforcement practices in other countries while on an exchange at the Waterford Institute of Technology in Ireland. 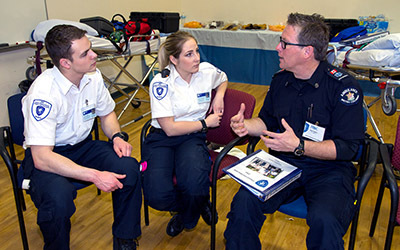 And students in JIBC's paramedic programs have a three-month practice education component where they are on call with paramedics serving in the BC Ambulance Service and have many other opportunities to volunteer and support the community. At JIBC, you don't have to wait to be the one helping to keep communities safe. Your opportunity begins even before you graduate.